Shack Shine’s exterior house cleaning service in Barrie is just a phone call away. We’re shining your neighbourhood, one home at a time. We know our customers take pride in their beautiful homes but could use a bit of help now and then to ensure that it remains in its best shape. That’s why we’re here. With our world-class call centre and easy online booking option, it takes no time for you to schedule the house cleaning you need. 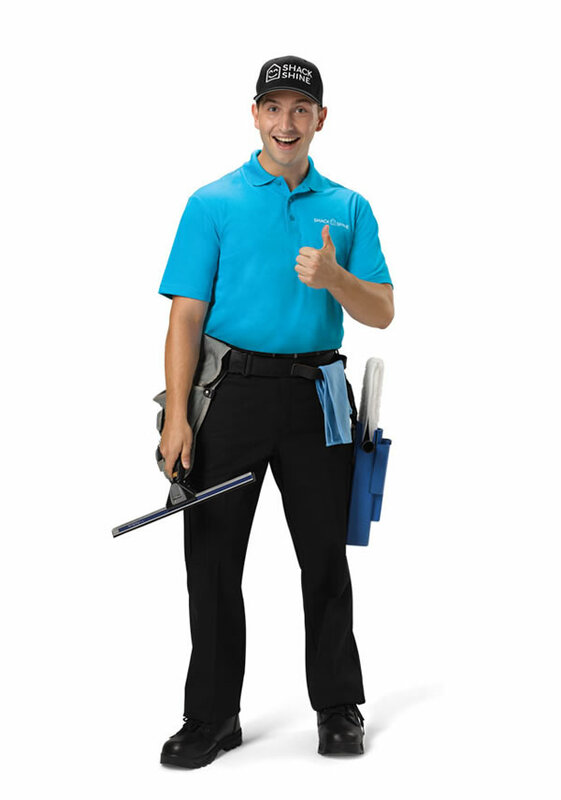 Our friendly, uniformed technicians will always arrive in shiny, organized vans. In just one detailed visit, you’ll have the shiniest home on the block. Who likes clean windows? We do! We handle both interior and exterior window cleaning. This ensures that you always have a clear view out of any window you look through. We use a water-fed, carbon fiber pole with a squeegee to scrub the exterior of your windows. We’ll wipe down frames and screens, too. Gutter cleaning ensures water can properly run from the roof away from your home without damaging the foundation. That’s why it is so important to keep them debris-free. You don’t have to climb a ladder to get it done. Let us do the work for you! At Shack Shine, we use a high-powered vacuum to remove all of the debris from within them. We flush them clean, too. Removing debris and particles from the exterior of your home protects its value and keeps the structure in good condition. Even in a single season, a build-up of mildew, moss, and debris will age your home and potentially infiltrate its structural integrity. To clean your home’s exterior, we use water-fed poles that allow us to scrub every corner of your home one area at a time. Whether you have vinyl siding, brick, or other materials, our house washing service is thorough and safe. We don’t use harmful chemicals either. Using the right amount of power washing, Shack Shine also provides roof cleaning services. Let us strip away the moss, mildew, and mold, as well as anything else that’s sticking to your roof. This not only helps to protect the surface of the roof, but it also helps your home to look fantastic. Your home will love you! We can pressure wash most hard surfaces including driveways, walkways, decks, patios, and furniture. Refresh the patio for a like-new look without having to repaint. You don’t even have to move the furniture for us. We’ll do that for you and put it back when we are done. We also use environmentally safe cleaning agents to do the work, so you always get a high level of cleanliness without damaging the planet. Shack Shine is ready to make your home shine bright this Christmas. You no longer have to get on a ladder in knee-high snow to hang your Christmas lights. Our technicians can install custom, commercial grade Christmas lights to fit your roofline, landscaping, fences, windows and trim. Our lights are no ordinary big box store lights! We offer commercial grade lights that are longer lasting, more energy efficient and shines brighter. 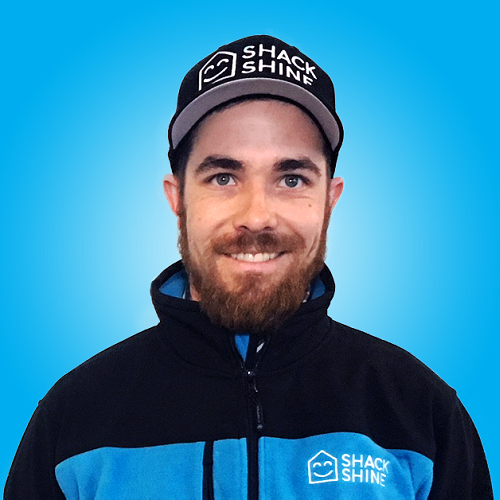 My name is Brandon Rea and I am the owner of Shack Shine Barrie. Previously I was in B2B industrial sales, as a territory manager for 6 years. I had always wanted to be my own boss, and after calling Barrie home for the last 4 years, the motivation to drive into the big city every day had lost its’ appeal. I decided to start a business to serve the community of Barrie. When I started to look into Shack Shine, the synergies between our values and how we approach our customers were immediately apparent to me. We strive to go that extra mile and to make the customer experience exceptional. I knew I had to jump at this opportunity to serve Barrie, Orillia and Innisfil with this amazing brand behind me.